A collection of links to sites I use for Ostend / Belgium. They may help you better plan / enjoy your visit. Though I've been visiting Ostend for some years I've only fairly recently got round to developing this section for it. Hopefully this page will build up over time as 'I catch up'. Toerisme-oostende.be Probably the best for up to date news and events. 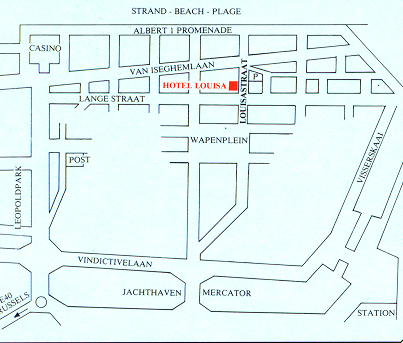 All below are in Langestraat, the main street, but not the only street for late night revellers. The Pubs mentioned here are not really suited for families especially at night time! La Stalla Excellent pasta restaurant. Good service, good food. Large but well designed. The Spanish Inn Nicos' a fantastic organist. Great fun pub. Rons Bar An ageing small pub, a place to catch your breath on a night out. Cosy Corner A brave place to go at weekends, heaving but what an atmosphere. Celtic Ireland A relatively new pub/restaurant & hotel. Superb decor! Lovely garden. Live Music.